Loughborough-based Olympic speaker Joanne Jackson hit the big time when she was just 17 – winning a gold medal for her stunning 400m freestyle performance at the 2003 European Championships. 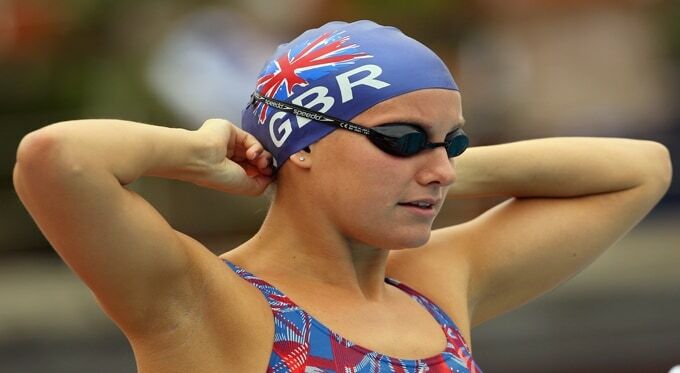 Still aged 17, Joanne then took part in the 400m freestyle at the Olympic Games in Athens. She didn’t win a medal on that occasion but four years later she got a bronze at the Beijing Olympics. Another four years on from that, at the London Olympics, Joanne came seventh in the 400m freestyle heat and fifth in the 4 x 200m relay. Clearly, determination and the desire to be at the very pinnacle of her chosen discipline are key components in Joanne’s character. This makes her a superb Olympic speaker who is able to hold any audience in awe and suspense as she recounts her incredible experiences. Joanne has no fewer than nine silver medals to her name, including two at the Melbourne Commonwealth Games in 2006, three at the European Championships of 2006, 2008 and 2010, and two at the 2009 World Championships in Rome. At the previous World Championships in Manchester, the Olympic speaker won a silver and a bronze in the 4 x 200m freestyle and 400m freestyle respectively. Officially retiring in 2012, the Olympic swimmer set up the Joanne Jackson Swim Academy – along with ex-Olympic swimmer Grant Turner – which aims to provide training and support to anyone who wants to improve their swimming abilities. To book Joanne Jackson for your next private event, corporate event or conference, contact Champions Olympic Speakers via our online form or call us on +44 1509 85 29 27.